Here are some of our favourite activities and special attractions that are not just great for kids but make a good day for parents as well. Many Kids activities Melbourne are fun, cheap and easy to get to. Weekends with the kids can be a lot of fun in Melbourne. There are also many things to do for a special day or afternoon out. 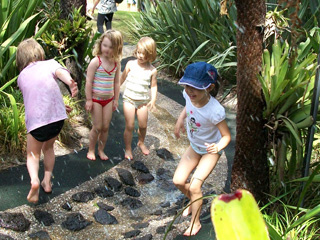 Our favourite family activities is the Ian Potter Childrens garden at the Royal Botanic Gardens. This is an enchanting, magical land, with a stream, ponds, bamboo forests, tunnels, labyrinth, a kitchen garden and a rain forest ruin and great areas for water play. The whole place is generally alive with happy kids, with plenty of things to do and explore. You can bring a picnic rug and stay in paradise for the best part of a day. A stroll along Birrarung Marr, along the Yarra, is one of the relaxing kids activities Melbourne and a great thing to do to chill out, without leaving the city. There is also a great playground a nice place to hang out Walking along the path you can spot rowers or the ferry, or ruffle through autumn leaves. With a bit of planning you can book the kids into a weekend activity at the ArtPlay creativity centre. They can get involved in creative workshops such as painting, printmaking, music and drama, but this is not free. There are many opportunities to take the kids on a bike ride, and a family day out on bikes one of the failsafe kids activities Melbourne. You can take the train to Flinders Street station and cycle along the Yarra. Or you can start virtually anywhere and link up with any of the numerous Melbourne bike paths along the creeks. 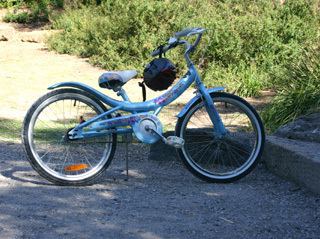 We love taking our bikes up Merri Creek from Clifton Hill. This is a beautiful scenic ride. You can also walk along the creek and feel like being in the county. It is great for playing in nature. Another fantastic Melbourne bike path with beach atmosphere, is along the beach from St Kilda to Brighton, Sandringham and beyond. On these popular trails you are also never far from a café. What more would you want for a pleasant day out? Where do you like riding with the family? Have you got any special tips or experiences? Why not leave your comment here. Along the Merri Creek trail in Brunswick East, is the Community Environment Park CERES (Centre for Education and Research in Environmental Strategies). This is an eco village where you can chill out at the pond, look for tadpoles, explore how electricity is made and water is pumped with wind power. You can also watch the chooks and wander through the orchards and gardens, and yes, end up at the café with a home style healthy menu. There are many very good playgrounds that you have trouble getting the kids off, and where you can have a pleasant time. Here is a list of a few. Princes Park playground, in Princes Park, Carlton North. The Quarries Park, more of an adventure park along Merri Creek in Clifton Hill. There is also a skate ramp. 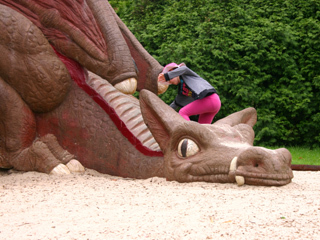 Fitzroy Gardens, at the East Melbourne end is a small fun park with a dragon slide. Do you have any favourite playground. Any particular spot you love? Why not leave your comment here for others to read? There are also a variety of other things to do in Melbourne that are free. 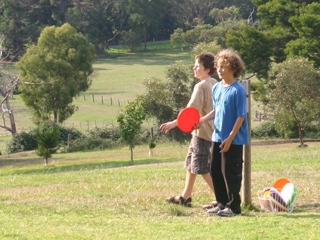 This is city farm, one of the favourite family and kids activities Melbourne. It provides unique access to farm animals, paddocks and milking sheds and is a fun country experience for city dwellers. This is where my kids spotted a never seen before giant goat. It is situated along the Yarra in Abbottsford, just 4 km from the city. 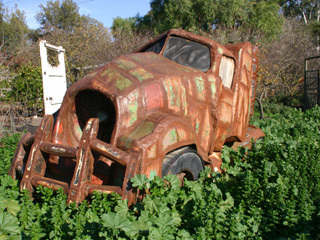 It is surrounded by organic garden patches, horse paddocks and some huge oak trees. It is a great place for a picnic, or you can chill out at the Farm Café that is open on weekends. Every first Sunday of the month, except in winter, is Family Day with free pony and hay rides, a BBQ and activities. And every second Saturday of the month the Childrens farm holds a Farmers market, offering farm fresh and organic seasonal fruit, vegetables, herbs and delicatessen. Kids love trains! 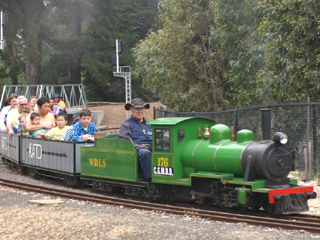 The Diamond Valley Railway is a narrow gauge miniature railway. It has been built by a community of hobbyists and model engineers, who love nothing better than to operate the railway for our enjoyment and pleasure. The track is about 2km long, a fair bit for a miniature train. It is located in the Eltham Lower Park close to the Diamond Creek, from which it gets its name. It has been operating for a very small fee since 1960, every Sunday and main public holiday, from 11am to 5pm. Another miniature railway operates at Como Gardens at the Basin. This is at the foothill of the Dandenongs (not Como house in South Yarra!) in the grounds of the historic Como home. It has a 650 meters long track, taking you through the formal gardens and arches, over creek trestle bridges, back to the "Como Gardens" station. There is also a Museum Automobilia, holding a number of odd cars, many of them early historic pioneering vehicles. The Scienceworks Museum is the kids favourite, with an enticing collection of interactive science and technology exhibits for all ages: a push it, pull it, spin it, bang it hands-on approach to learning. Nitty Gritty Super City is an exhibit where the kids can build a bridge, work with pullies and record a weather report. At Sportsworks they can race Kathie Freeman, or have a wheelchair race, and test their skills in hand-eye coordination exercises. In the Muck Bunker, they can find out how to keep our stormwater clean. You may be lucky to catch an entertaining performance in the amphitheater. You can get to Scienceworks, apart from the usual ways, with one of the Yarra Cruises , which stops there on the way to Williamstown. The Melbourne Museum is the most centrally located museum. For the under 8 year olds, they have a Childrens Gallery, which is involving kids in looking, touching and listening. There are many colourful displays as well as a Learning Environment, engaging childrens imagination, all in the spirit of play. The Polly Woodside is an 1885 barque (sail ship), restored and afloat in front of the Exhibition Centre. On board you can take part in the 140 year journey of the Polly Woodside, from its construction in Belfast, being part of its 16 voyages around Cape Horn, and its final sail to Australia. It is another hands-on exhibit where kids can explore life and navigation at sea, maritime language and the Melbourne docks. Every first Sunday of the month is Pirate Day. A new kids activities Melbourne spot! The RAAF museum in Point Cook is where little aspiring pilots have a great time. Our son has loved going back there as he studies to old and newer planes, how they fly, and he loves the air shows. There are a fair few air force and war exhibits, demonstrating the pain and glory of the Australia Air Force, and giving you an idea of our military involvement the wars of the last century. The airs shows are interesting, with an opportunity to ask question of the pilot of the small aircraft. He does some loops and tricks in the air. 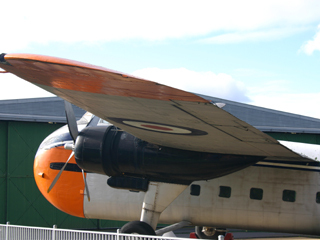 The museum has one of the largest plane collections in Australia. They have limited opening times, so check their website before heading out there. There are three zoos in and around Melbourne, the Royal Melbourne Zoo, the Healesville Sancturary and the Werribee Open Range Zoo. You can become a member, which gives you free entry to each of them, as often as you like. You can't go wrong going to the zoo while the kids are small, and when they are bigger, they still enjoy it once a year or so. 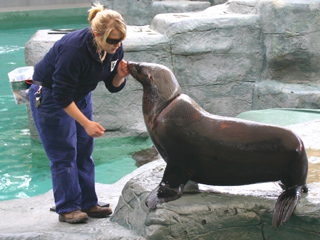 The zoos make for a great day out, picnic or cafe lunch, and are each kids activities Melbourne favourites. The Royal Melbourne Zoo is located in Royal Park and only 15 minutes from the city. It is the zoo we often pop into and a nice place to hang out instead of the park (if you have a membership). It is an engaging zoo, with an ambient atmosphere. You get to see the animals in their habitats: tigers, elephants, penguins. Our favourite is the butterfly hall, a tropical hall that is alive with thousands of butterflies that land on your hand if you are patient. The Werribee Zoo is a spacious open range zoo 45 minutes southeast of Melbourne, where you take a safari bus through savannah grasslands. You get up close to grazing Giraffes, White Rhinos, Bison and Zebra. 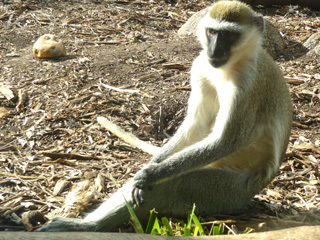 There are also great displays of hippos, lion and other African cats as well as an attractive Australian animal area. The Healesville Sanctuary is an natural Australian wildlife park about 1 hour northeast of Melbourne. This is where the kids can get close to kangaroos, wombats, koalas, echidnas and emus, and watch platypus, reptiles, and birds of prey in their natural habitat. You can also see Dingoes and bird shows where you get eagles swoop over your heads, showing off their hunting skills in an outdoor amphitheatre. The Melbourne Aquarium is right on the Yarra foreshore. It is Australia's only Southern Ocean Aquarium, which means that there are species that you cannot admire elsewhere. It is one of the failsave kids activities Melbourne! 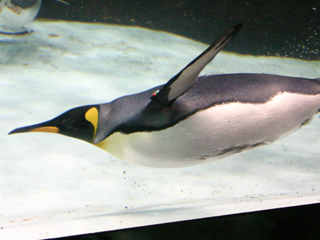 Kids love the arctic penguins in action and can get among sharks, giant stingrays and sea turtles without getting wet. The aquarium is home to seahorses, sea dragons and over 10,000 other ocean creatures. Luna Park Melbourne is right on the St Kilda foreshore and easily combined with a walk on the beach. It has great rides and experiences for families. The big face at the front is an icon and worth the visit. You can get unlimited passes or individual rides, and you can also enter the ground without payment, which makes it an attractive family solution. The Wonderland Fun Park is a new fun park at Harbour Town Shopping Centre in the Docklands. 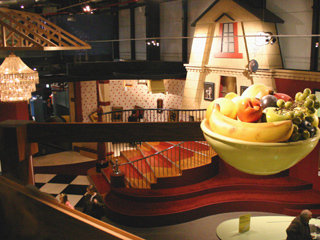 One of the great kids activities Melbourne, kids choice. 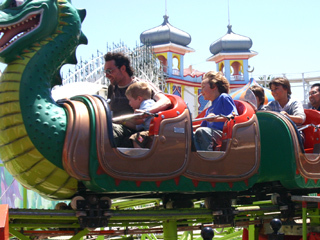 They also have various rides and attractions, such as Dodgem Cars, Giant Slide, The Grand Carousel, The Tea Cup Ride, Jurassic Adventure Bungee Trampoline. Each of these can also be used with unlimited or individual ride coupons. From October to April, you can visit the Geelong Adventure Park, for water activities, rides and attractions. One of the great kids activities Melbourne, so make a day of it. There are waterslides, an antique carousel, jumping castles, archery, train rides, mini golf, gokarts and waterboats. It is located on the Bellarine Peninsula, between Geelong and Queenscliff, only 1 hour from the Westgate Bridge. 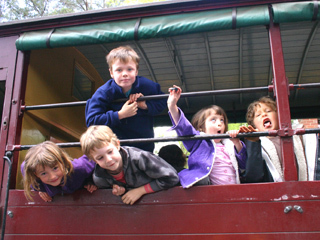 The Puffing Billy is one of the classic kids activities Melbourne. It is an historic steam train that is still running on its original mountain track from Belgrave to Gembrook in the scenic Dandenong Ranges, east of Melbourne. The trip is a great adventure for kids of all ages. You may end up with a sooty face from the smoke of the coal fired engine, but for the kids it is a real train experience. It winds its way over trestle bridges and through fern tree gullies. There is a playground on at the middle stop, Emerald Lake Park, where you can also go bushwalking, swimming or just relax in the peaceful country setting. There are many other tours and daytrips, most of them great outings for kids. Do you have a favourite family day trip? Any particular place you love going to? Any special experiences? Why not leave your comment at the bottom of the page? Mazes are kids activities Melbourne you cannot pass by. They hold a never-ending fascination. Racing through a maze, getting lost, making your way does get kids eyes to shine. We have had one of our best days out at Hedgend and this is one of our kids activities Melbourne choices. This maze park is down to earth, beautiful and unpretentious, a slice of heaven in the Yarra Valley. There are three mazes, mini golf, Frisbee golf, picnic areas and tea room. You feel like being at home, not in a tourist attraction. And while the kids are having fun, you can really chill out there. It is signposted from the main roads around Healesville, about 1 hour northeast of Melbourne. This maze is located at Arthurs Seat, on the Mornington Peninsula. There are three formal Mazes, including the traditional hedge maze, an ancient turf labyrinth and circular roomed maze for children. There is also the native Sculpture Park, all set in European-styled landscapes, as well as a Tube Slide Ride and a 3D Indoor Maze. This maze is a bit more tourist orientated. Ashcomb Mazeis a traditional smaller hedge maze just outside of the little seaside town of Shoreham, Western Port Bay, on the Mornington Peninsula. Then there is Amazen Things on Phillip Island, where the kids can test their senses with interesting activities, such as stimulating puzzles, illusions and memory tests.